The Witcher 3, the role playing game developed by CD Projekt Red, has received plenty of additional features and content since its release, but there’s still a feature that has to be introduced to the PC version of the game, NVIDIA Ansel technology support. While the feature is only coming in a few days, a new beautiful screenshot taken with it has been shared online recently. 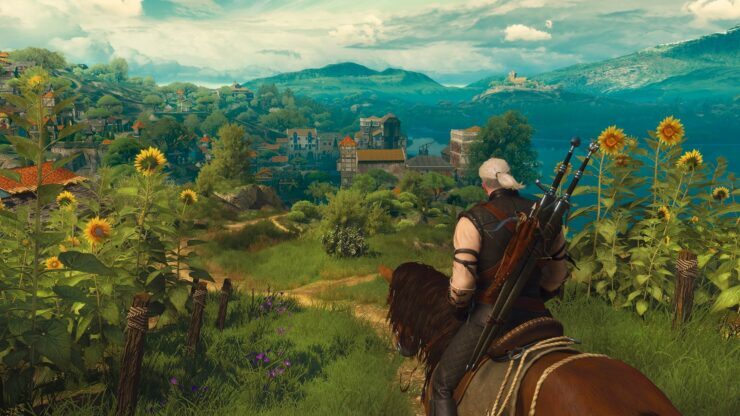 The new The Witcher 3 screenshot taken with Ansel technology is a beautiful 1000 Megapixel screenshot showcasing Kaer Morhen in the very first sequences of the game. You can check it out by going here. The Witcher 3 Ansel Technology support has been announced a while back, but it’s only recently been revealed that it will become available for all on August 15th. Thanks to it, players will be able to capture in-game screenshots in a revolutionary way. Among the support NVIDIA GPUs are the recently released GTX 1080, GTX 1070 and GTX 1060, as well as the mobile GPUs such as the GTX 980m, GTX 970m and others. You can check out the full list of supported GPUs by checking out the NVIDIA official website. Yesterday, CDPR confirmed that The Witcher 3 Game of the Year Edition will become available on all formats on August 30th. This new edition of the game will include all free DLC packs released last year as well as the two expansions, Hearts of Stone and Blood and Wine. The Witcher 3 is now available on PC, PlayStation 4 and Xbox One, with the GOTY edition launching later this month. NVIDIA Ansel support will come in a few days to the PC version of the game, on August 15th.